First, place eggs in a sauce pot large enough to hold them in a single layer. 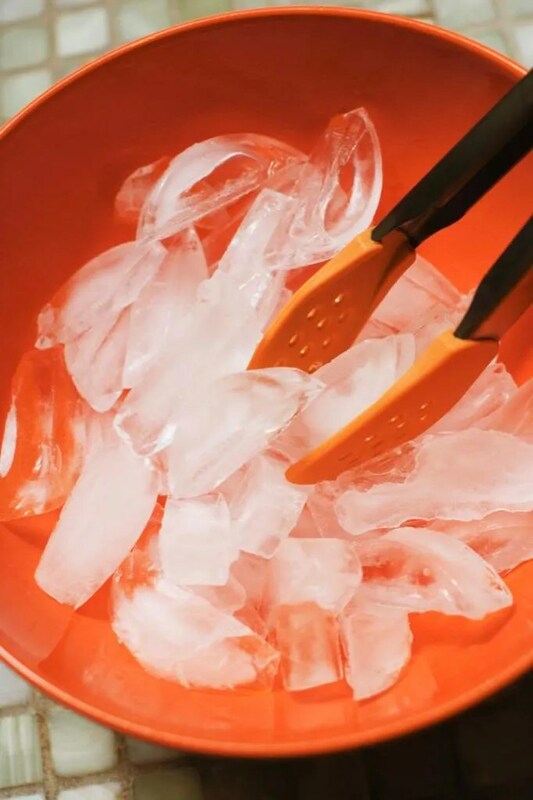 Fill the pot with cold water to about an inch above the eggs. Cook them over medium-high heat just until boiling. 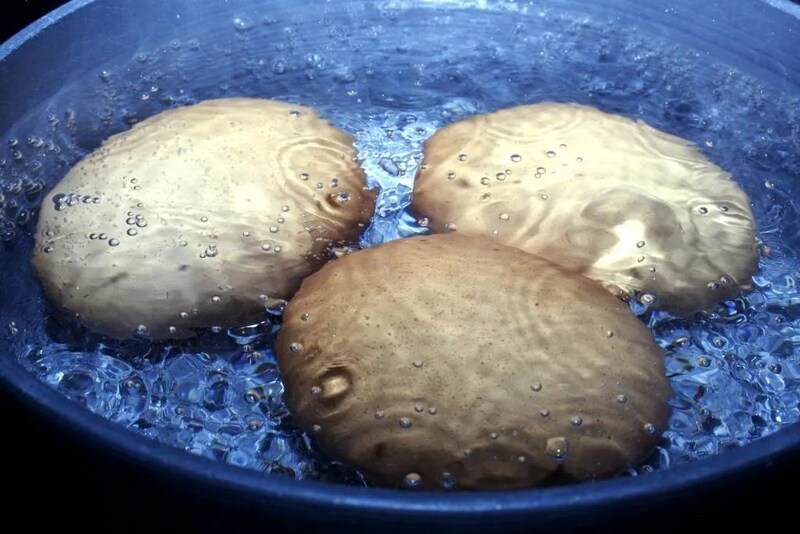 As soon as eggs come to a full boil, remove from heat immediately and cover with a tight fitting lid. Set timer and time for 18 minutes. 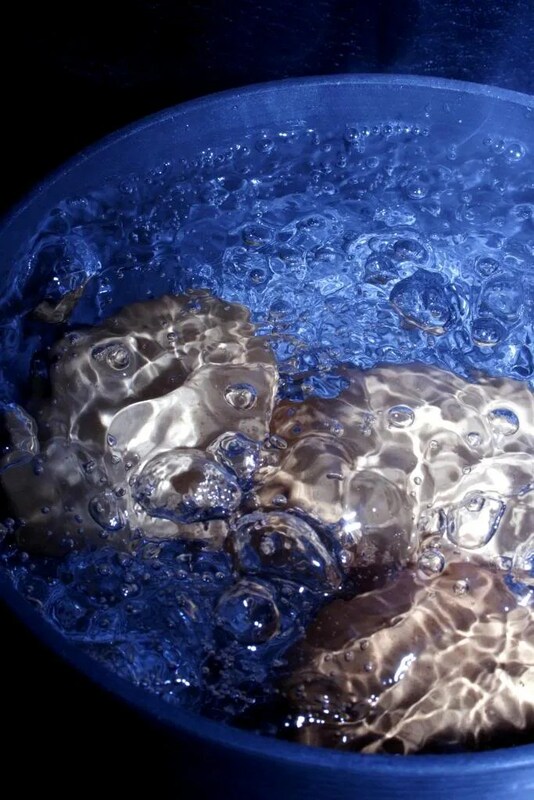 When time is up, strain off water and cover with cold tap water. At this point I add a generous amount of ice and let the eggs rest until chilled. 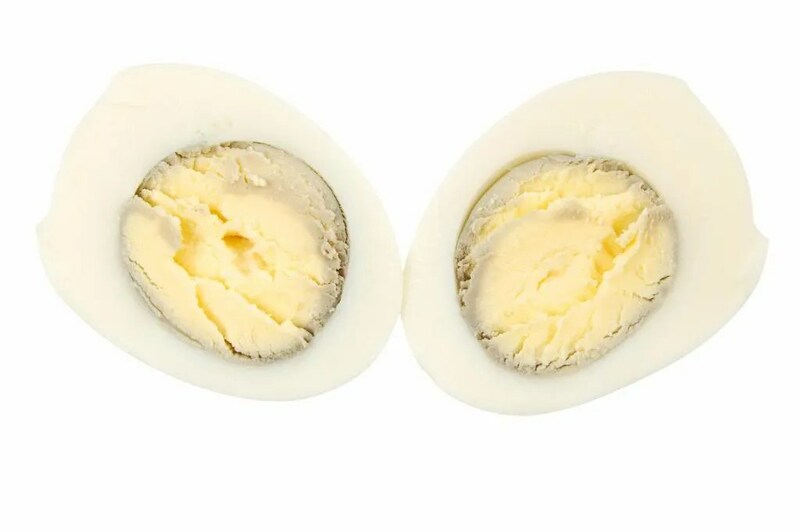 Once chilled, tap eggs on counter at both ends and roll back and forth across counter top to crush shells completely. 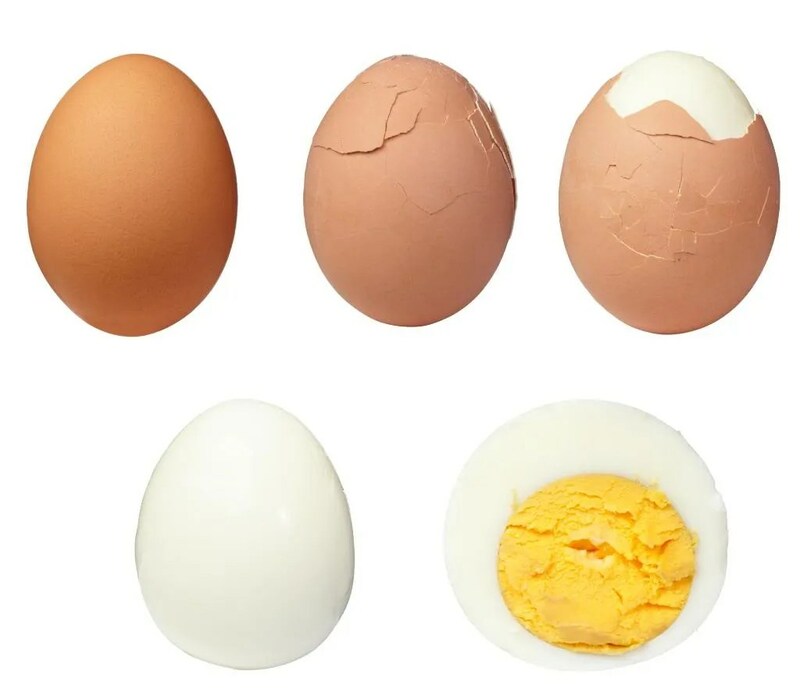 Don’t roll extremely hard or you’ll break the egg apart. 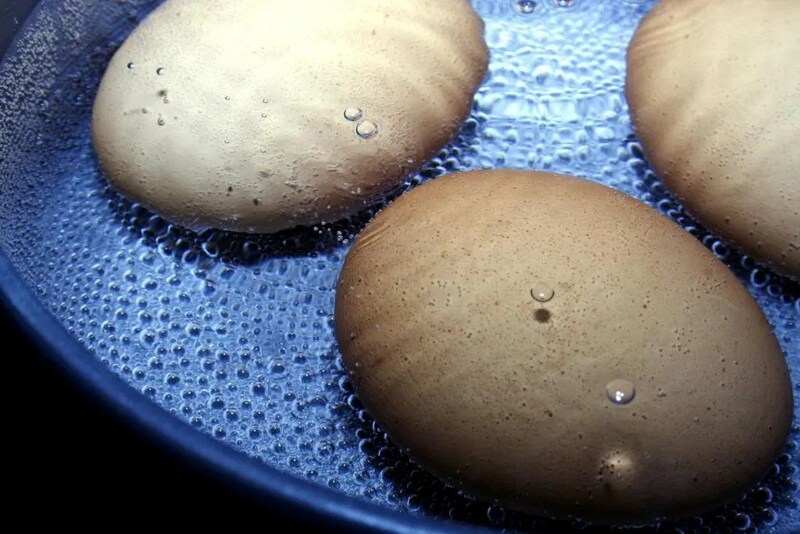 Once cracked, begin peeling at the large end, under cool running water to help loosen the egg from the shell. Have you ever gotten that nasty grayish-green ring around the yolk? It’s OK to eat, but not very pretty. You’ll be able to prevent that by following the above directions. The greenish ring is from too high of heat and cooking too long. 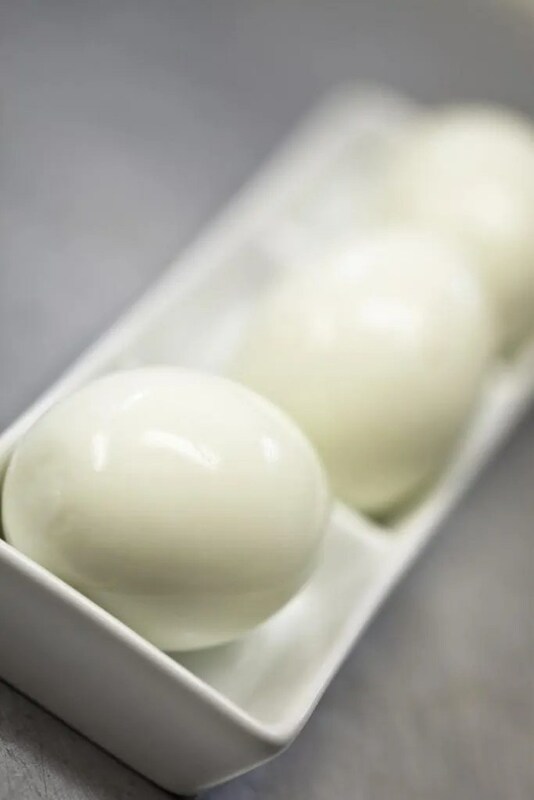 Medium and soft cooked eggs following the exact same method, just adjust the time they stay covered in the hot water. 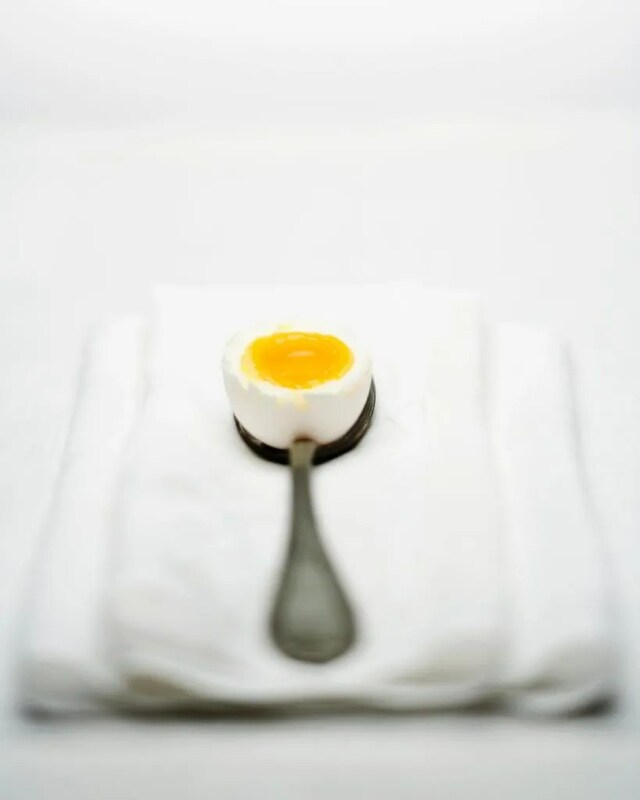 Medium Cooked Eggs: have a firm white and a slightly softer, sticky yolk. 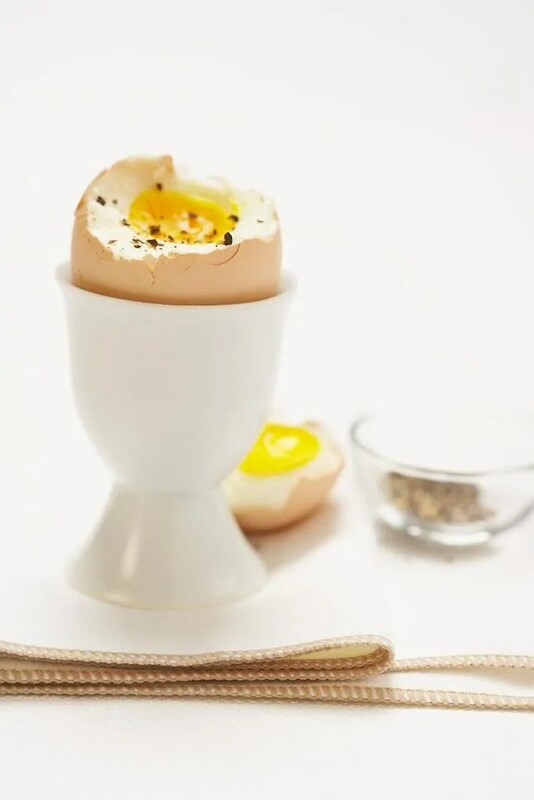 Soft Cooked Eggs: have a firm white and a gooey, runny yolk. 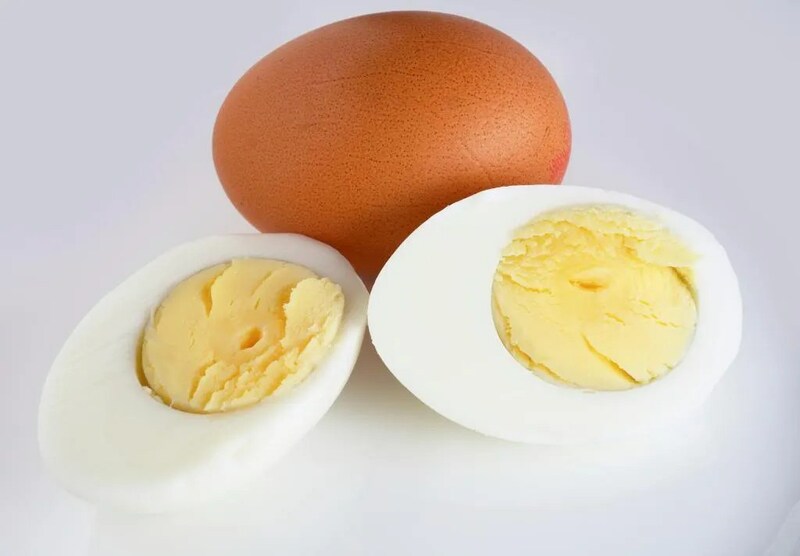 Peeled eggs can be stored covered in cold water in a glass or plastic container with a tight fitting lid for up to 1 week. Change out water daily.